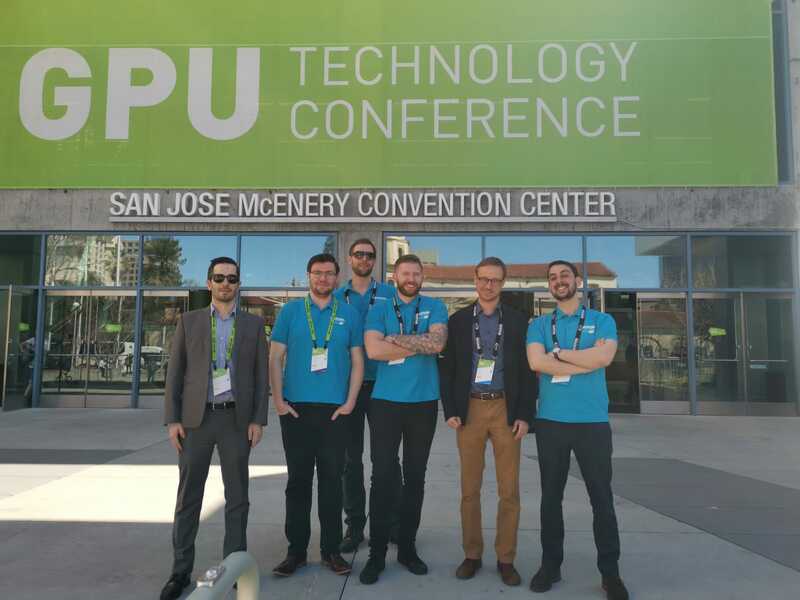 NVIDIA continues to expand their products and services for large companies as well as the start-ups, applying the GPU technology in unique ways for the best out of all verticals. 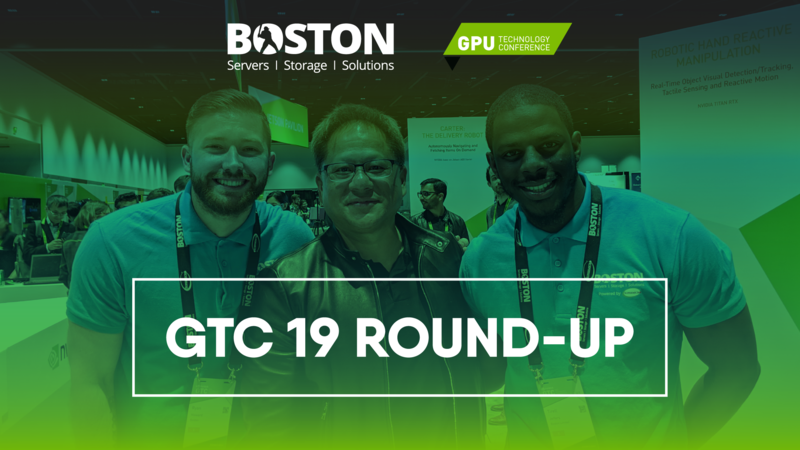 As always, GTC 2019 impressed with new creations, live demos and future technologies displayed on the expo floor. However, it was the hardware & software behind the scenes that you should be excited about - Continue reading below for more and watch our YouTube roundup! Bigger & Better - This year’s keynote was held at San Jose State’s Event Hall to accommodate up to 5,000 people! 2,000 more than last year’s venue. As usual, the GTC keynote kicked off with the infamous “I am AI” video and rapturous applause as NVIDIA CEO Jensen Huang strode across the stage. With the news of the Mellanox acquisition still hot off the press, Jensen wasted no time in diving into the other announcements. NVIDIA announced a software-acceleration library with a collection of applications built on top of CUDA! These software stacks are optimised for Deep Learning, Machine Learning and HPC with early adoption from major cloud services. The libraries include cuDNN for accelerating deep learning primitives, cuML for accelerating data science workflows and machine learning algorithms, NVIDIA® TensorRT™ for optimizing trained models for inference, cuDF for accessing a pandas-like API for data science, cuGraph for performing high-performance analytics on graphs, and over 13 other libraries. Left or right - which image is real and which is created from graphics? Click on the image to reveal the answer. NVIDIA® Quadro RTX™ 8000, powered by the NVIDIA Turing™ architecture and the NVIDIA RTX™ platform provides creative and technical professionals with the power of hardware-accelerated Ray tracing, AI and advanced shading to heighten productivity and produce amazing content faster than ever before. 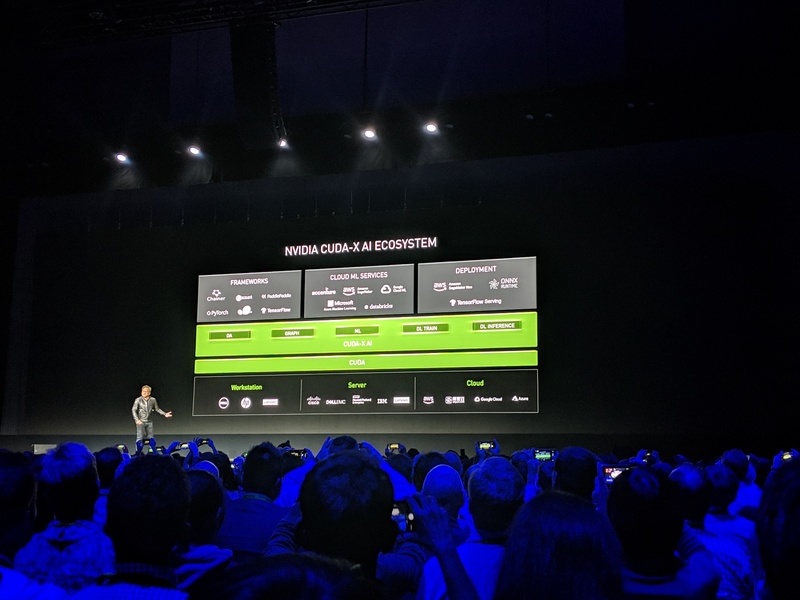 The launch was paired with the announcement of broad support for NVIDIA RTX from the likes of Adobe, PIXAR and Unity. Click here to watch the #RTXon keynote demo! 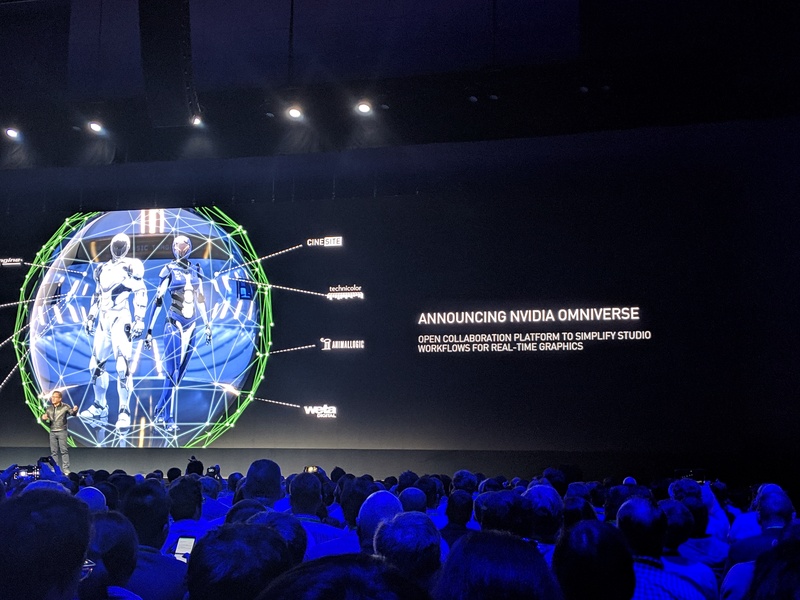 Flowing seamlessly from the new NVIDIA RTX™ GPU, Jensen announced the new open collaboration platform, NVIDIA Omniverse™! Based on Pixar Universal Scene Description and NVIDIA RTX, Omniverse allows global teams to work collaboratively on same 3D productions using several different software with Autodesk Maya, Unreal Ending and Substance used in the live keynote demo. 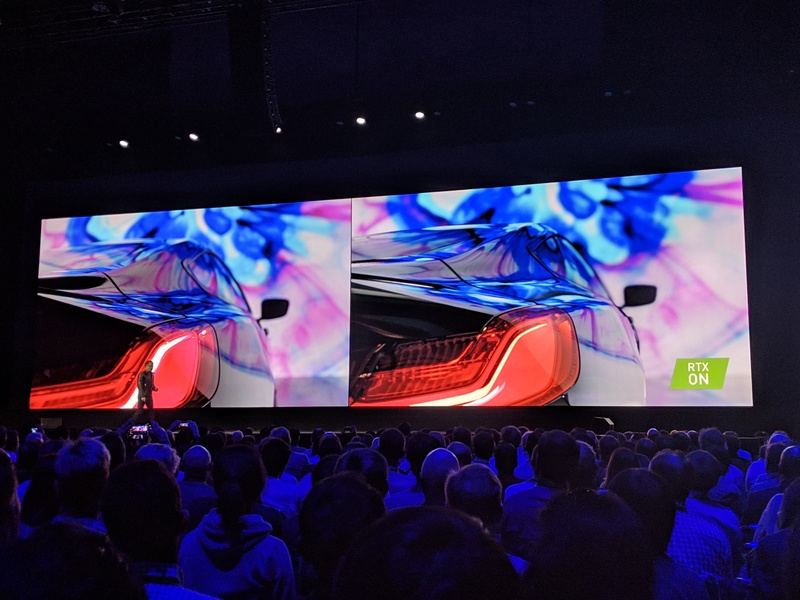 Even more impressive is that NVIDIA Omniverse viewer can also be integrated into the application interface, adding an ultra-high-quality real-time ray traced application viewport. NVIDIA RTX™ Server brings GPU-accelerated power and performance to deliver the most efficient, comprehensive rendering solution with 40 Turing GPUs in an 8U! This optimized end-to-end stack is suitable for rendering as well as remote workstations, and cloud gaming. Also announced alongside the server - The RTX Server POD! In this new reference architecture, multiple Quadro RTX 6000 & 8000 GPUs with NVIDIA NVLink™ can be scaled to 32 RTX servers! Each RTX POD has the power to host up to 10,000 users simultaneously with high-speed storage connected with Mellanox InfiniBand and 1,280 GPUs in 10 racks. 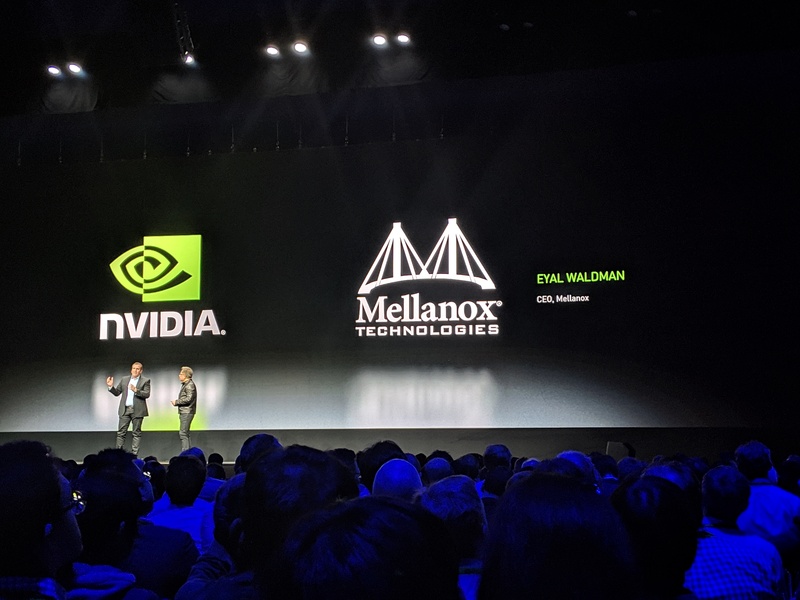 NVIDIA AND MELLANOX PARTNERSHIP ANNOUNCEMENT! Mellanox CEO, Eyal Waldman, joined Jensen briefly on stage to discuss the acquisition! During his speech, the Mellanox CEO mentioned the growth in data and the requirements needed to transfer and process the data as a driving factor in the acquisition. Two powerhouses at the forefront of their respective markets, it will be interesting to see the outcome and if they collaborate on future products! 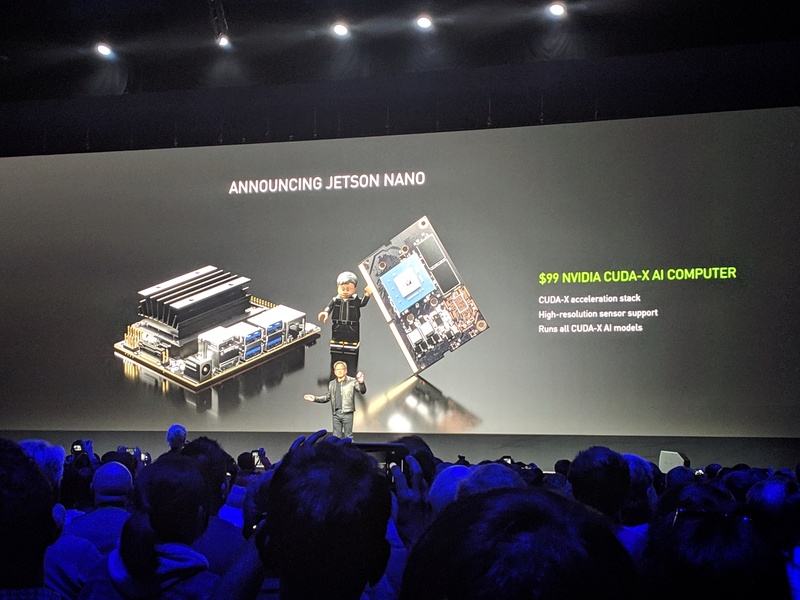 NVIDIA DRIVE – Powered by Jetson Nano! The Jetson Nano is a powerful, low-cost AI system that uses as little as 5 watts to power 128 NVIDIA CUDA cores! Using NVIDIA Maxwell™ architecture, this is the smallest Jetson GPU in the range at just 70 mm x 45 mm. AI chips such as Jetson Nano powered newly announced technology at the show such as KAYA and other start-up robots, but this isn’t new to the industry. Small AI chips are used every day in IoT devices and other products like our competition prize, the Anki Vector! Congratulations to our competition winners, Michael, Nico and Paul pictured below. 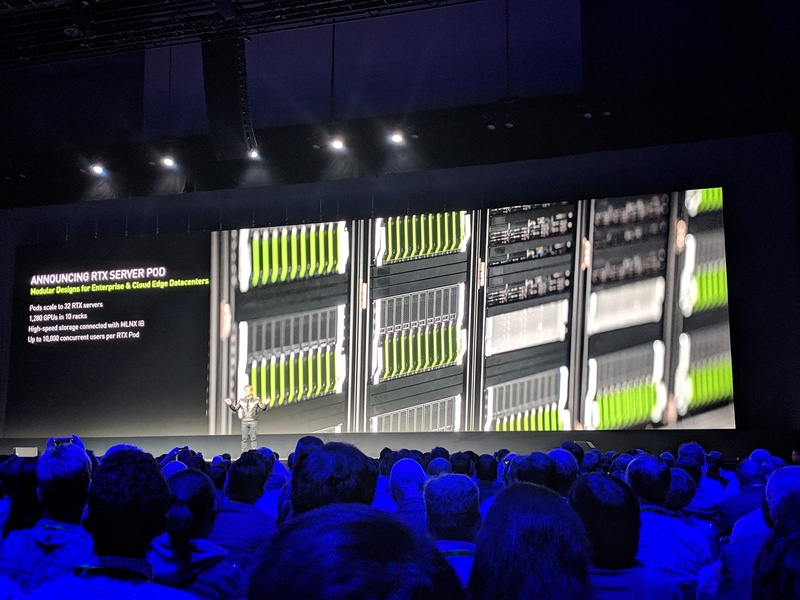 At #GTC19, Supermicro showcased their latest SuperBlade solution, featuring 20 independent server nodes in the 8U form factor. Each node is powered by high-frequency Intel Xeon E-2100 series CPU, support up to 128GB of DDR4 2666MHz ECC memory, two NVIDIA GPU’s, dual-port 10G Ethernet and fast NVMe M.2 storage. This product is designed for Cloud gaming, VDI, GPU rendering and Deep Learning. 3D tracking with 2D Input. 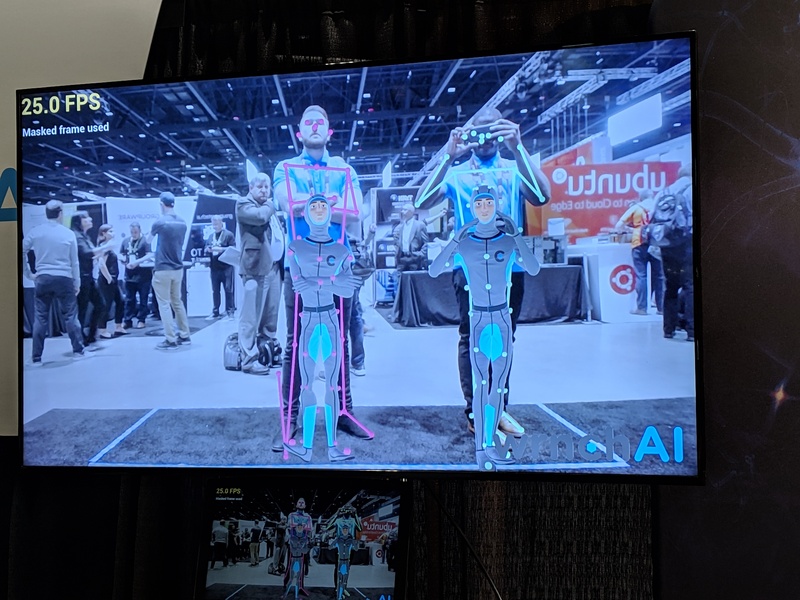 A start-up from Montreal, Canada, that uses simply applied AI solutions in motion capture to recognise 3D behaviour and movements from a 2D camera. WrnchAI uses Deep Learning & inference for real-time 3D images with use cases in entertainment, medical, retail, training, security and more. Invested by Mark Cuban, an NBA franchise owner, so we look forward to their future! Ghost Robotics developed an agile and highly responsive 4-legged robot, perfect for unstructured terrain and rough ground. 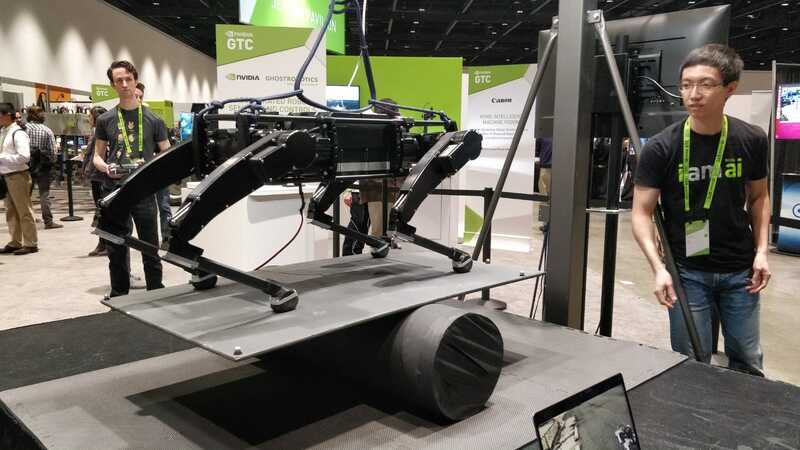 On show at #GTC19 was an impressive balancing robot showcasing the impressive skills of this 4-legged machine. AGRO Bot is a strawberry picker that uses Artificial Intelligence to scan fields and determine the best time to harvest ripe strawberries. With its 24 wirelessly controlled arms, onboard storage trays and gentle touch, it can fit into most fields and pick fruit with or without stems! No driver is needed thanks to its autonomy, meaning more harvest can be achieved in less time. TuSimple were displaying their self-driving truck at GTC. With the aim of being the first self-driving truck to market, TuSimple had to overcome many problems that are unique to large autonomous vehicles. Similar to a self-driving car, the truck needs to analyse its surroundings in real-time and make instant decisions based on a variable environment, but due to the size and weight of the vehicle, it needs to do this with an amplified urgency that no car has done yet. The autonomous system in the truck is the first in the world to be able to analyse its surroundings up to 1,000 meters which enables it to make decisions earlier than any other self-driving vehicle and plan the safest route. Currently, there are a dozen of the trucks being tested daily in Arizona, covering hundreds of miles per day and collecting the large quantities of data needed to further train and refine the AI model.